At 1650 meters above sea level, Sapa, in the north west of Vietnam, enjoys a much cooler climate than the majority of the country. Sapa has been a major market town in the area for many years, but it wasn’t until it was established as a French hill station in to the early 1920’s, that the town began to really appear on the national map. Sa Pa lies at the southeastern extent of the Himalayan chain and is home to Vietnam’s highest peak, Fansipan, at 3,143m. The great mountain and the Muong Hoa Ho Range tower above the town, their steep slopes providing an abrupt yet spectacular backdrop to Sa Pa’s swarming streets. Tiny mountain streams and the awesome Thac Bac waterfall merge to produce a meandering river that flows briskly down a narrow steep sided valley. Small huts are littered in sporadic fashion along its banks, and great swathes of rainforest lie under the clouds that carpet the peaks above. The vast areas of woodland are both impressive and intimidating. They are a place where the trees are kings, with epiphytes and beautiful orchids rioting rampantly over them like marvellous jewels. This dazzling forest is also still home to bears and monkeys, making it one of most biologically significant areas of natural wilderness in Asia. Sa Pa has earned its mysterious reputation not only because of its immense beauty, but also because of this rich ethnic diversity. In recent centuries, a selection of minority groups have settled in the Vietnamese highlands in their own self-perpetuating communities. The zones in which each ethnic group is located are often demarcated according to altitude, for they settled at different heights depending on the order in which they migrate into the country. The ethnic composition of Sa Pa is highly varied and is the single most spectacular feature of the area. 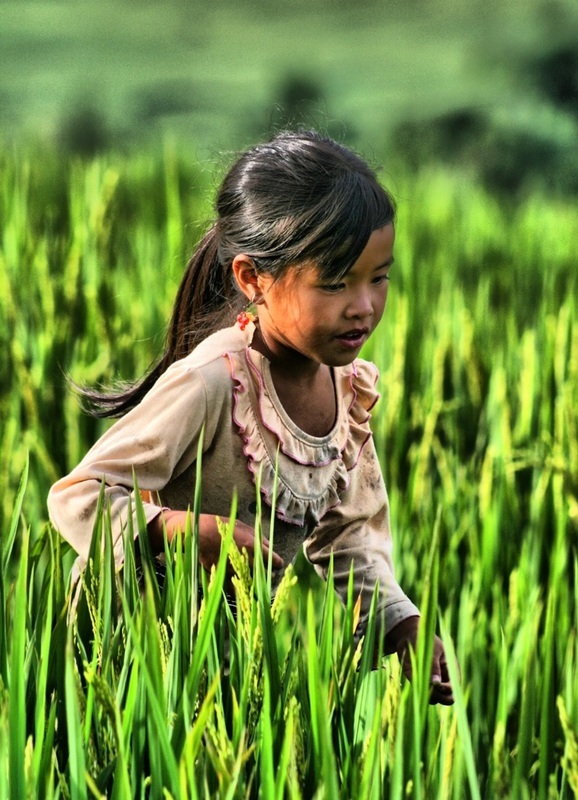 To this day, the town remains a major trading post for more than 30 local ethnic groups, such as the Hmong Dao and Tay people, who live among the rolling rice paddy covered hills that dominate the region around Sapa. Beautifully adorned in their colourful traditional dress. The only thing brighter than the locals' clothes are their never-fading smiles, and a trip into town on market day can feel like stepping back in time. Trekking is a huge draw for the region and is often the best way to see many of the local villages and the stunning rice paddies. 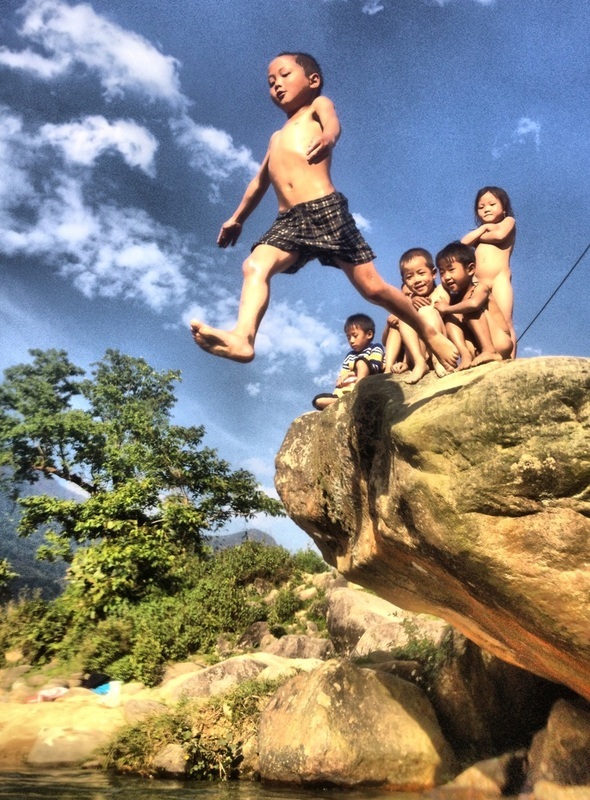 A trip to Sapa can be as relaxed, or active, as you choose to make it. A whole host of half and full day trips are on offer to explore the region, or one can simply relax and enjoy the cooler climate. The most popular and convenient way to get to Sapa from Hanoi is by sleeper train. If you choose to book an experience with us we can also book the overnight trains and transfers for you. See below for the train schedule and costs. Please let us know when you book which transfer option you would prefer. Even if you are not booking your train ticket with us we can still arrange your transfer from Lao Cai to Sapa. 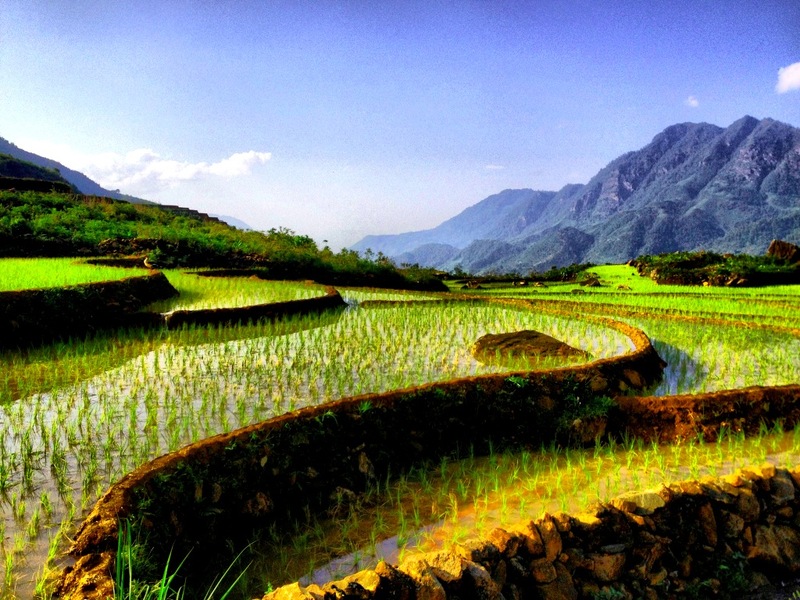 Hidden in the mountains in the north western part of Vietnam, Sapa is a beautiful place to visit year round. Pack layers no matter when you travel to Sapa because weather can be unpredictable and it is not unusual to experience all four seasons in a single day. See our detailed seasonal what to wear page for more information. 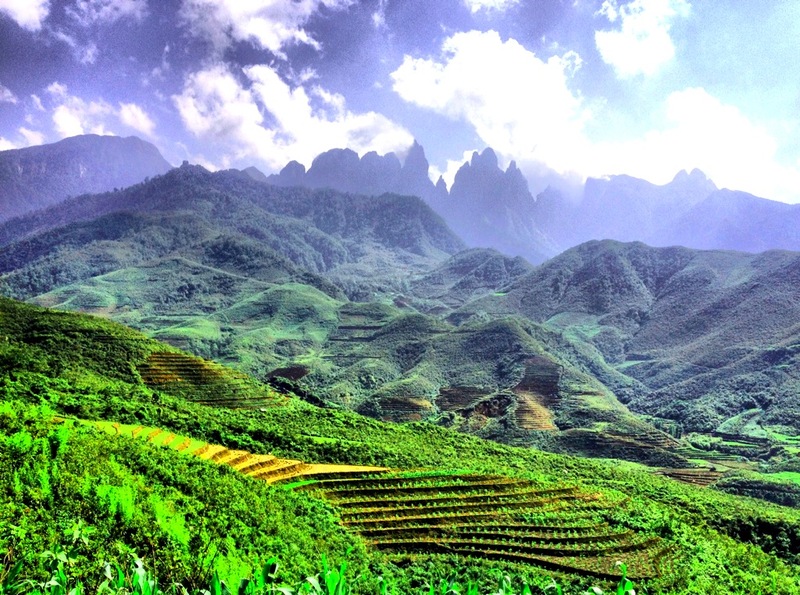 My brief time spent in Sa Pa was a truly unforgettable experience! On reflection, I would say that it was one of the highlights of my travels in South-East Asia, if not worldwide. I thoroughly enjoyed all aspects of my 10 day visit to this quaint town in North-West Vietnam, surrounded by rolling hills that are beautifully carved into tiers by the rice planting of the local people. Quiet strolls though the town show its unique and sometime eccentric character, however it was our off-the-beaten track adventure that lies at the forefront of my fond memory of the place. 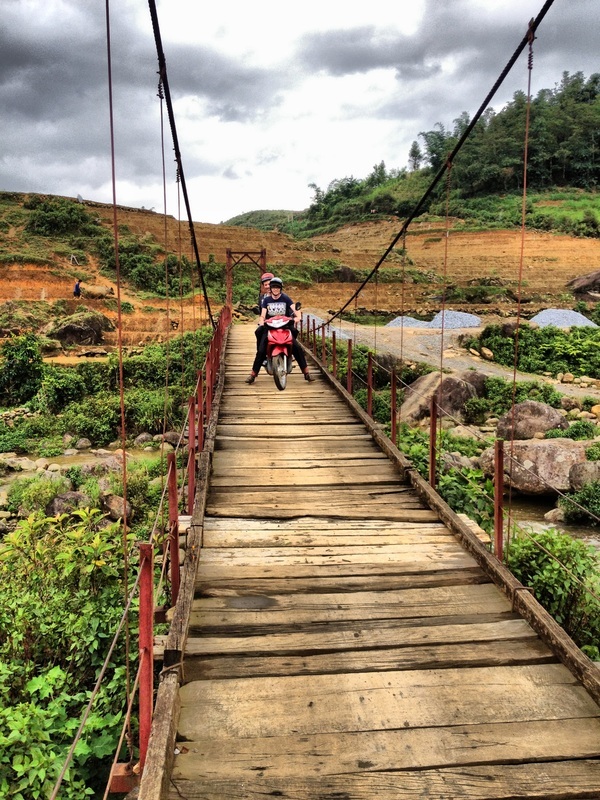 The option here of renting a semi-automatic motorbike really empowered us to see a more varied, far-reaching portrait of life in Sa Pa and the surrounding region. Accompanied by members of the Black Hmong tribe we embarked on journey which took us to Muong Hum, a fairly isolated market town with relatively low foreign footfall. Along with our friendly guides, we were able to interact with several of the ethnic groups with greater intimacy than we had previously experienced on other treks in the region. This really enriched our knowledge of the culture and character of Vietnam’s minority groups. 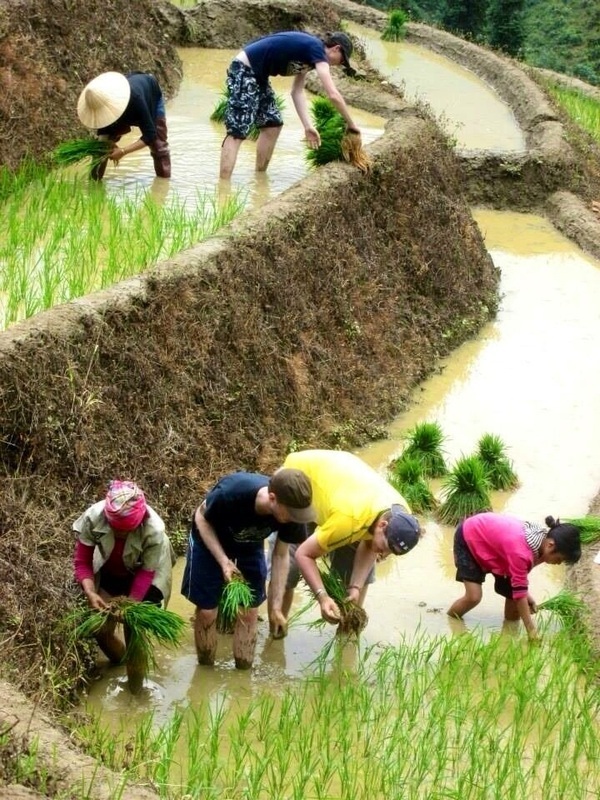 We were given the arduous, yet very rewarding task of planting rice with a Hmong family who quickly became our friends. Later, we made our way down the valley to a picturesque rock pool in a small stream where we enjoyed a refreshing swim alongside several of the local kids. Our direct interaction with the local people was not only a very rewarding cultural experience for us as travellers, but undoubtedly more helpful to the ethnic groups themselves who do not always fully benefit from the influx of tourism to their communities. By interacting with the tribes in this way, I was left with the overriding feeling that our visit was an ethical and environmentally-friendly one, which had an ethos of sustainability that will encourage local people to continue to welcome tourists to the region. Sapa is a place of colour and laughter. It is a place where the modernity meets an older, simpler world. It is a place of magic and laughter, a world that is exotic and strange but also warm and inviting. My journey to Sapa from Hanoi was by overnight train followed by a drive into the mountains, along winding mountain roads, sometimes having to navigate through the mud left by heavy rain. My eyes feasted on a landscape of rice terraces cut into the hillside and of lush vegetation. My feeling was one of growing excitement as I entered a world that, hitherto, I did not know existed. From my hotel I could see the mountains rising majestically from the valley floor. At times they would be enveloped by cloud and then as the suddenly, the clouds retreated to be replaced by clear blue sky and glorious sunshine. The area around Sapa is home to the Hmong, Dao and Giay peoples, each with their distinct languages, costume and customs. 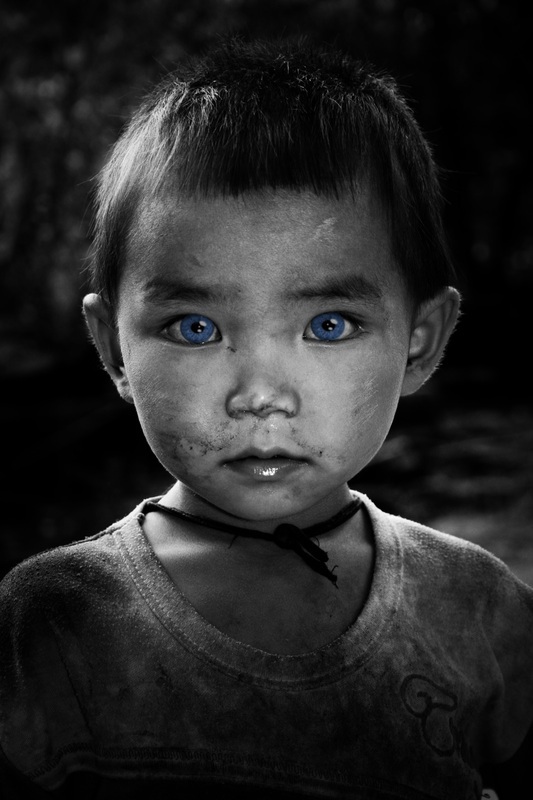 To meet these people is to move away from the increasingly homogeneous world in which we live and to enter a place where different peoples retain their age old traditions. The men stay in the hills, farming the paddy fields with buffalo and plough, while the women come into town to buy and sell. They are friendly, often multi-lingual and keen to sell handicrafts and to any available tourists. My days were spent trekking though the adjoining countryside across paddy fields and rivers, with my Hmong guides, taking in the fabulous scenery and eating in village homes. The basic structure of a Hmong home is bamboo or wood, depending on the relative wealth of the family. If they can afford to do so, people will add an asbestos, as opposed to bamboo, roof to their homes The floor is dirt and the interior is, in effect, one room divided into areas for cooking, sleeping and eating. Hospitality is generous and guests are always welcome. Rice wine may also be brought out in large quantities, which can make an afternoon lunch through the paddy fields an interesting experience. 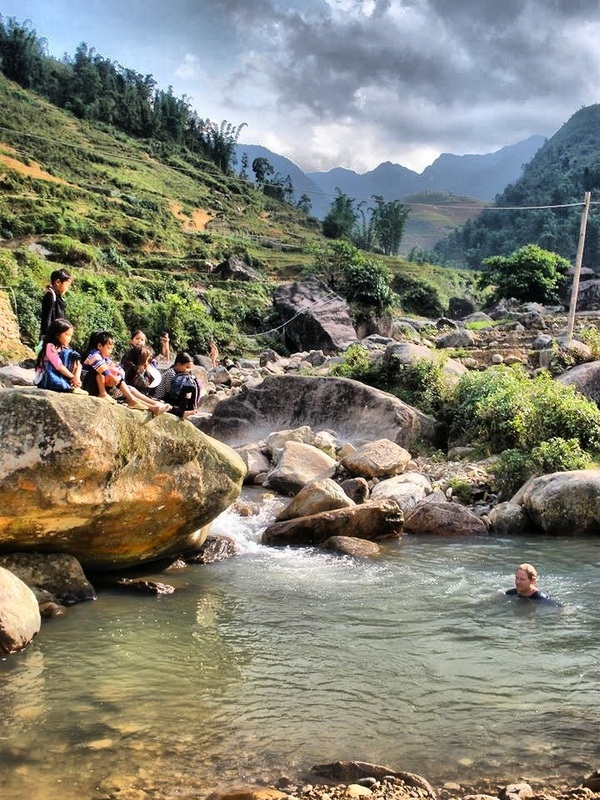 I found Sapa both exhilarating and refreshing and returned to the UK in the knowledge that I lived in a far bigger and more diverse world than I realised. I also saw the challenges of the people who live there and the dangers and opportunities that the people of Sapa face, especially as the region opens up for tourists. Although I stayed in a comfortable hotel, I am grateful for the fact that I was not in a sealed bubble, safe from the world around. Instead I was able to experience at first hand something of the lives of the people who live in and around Sapa. We arrived in Sa Pa early in the morning and were quickly involved in a busy day with a Hmong family. Part of our group prepared and cooked lunch while the others fetched drinking water with the children on behalf of the family who were down the mountain planting rice. After an amazing lunch in the family's home of pumpkin soup and rice we walked down the steep hillside to help with the rice planting. It was incredible to get a better understanding of the work and to be knee deep in the paddy fields looking out across the valley. Later in the afternoon we travelled to a local waterfall to cool off. Local tribesfolk washed their hair in the river, dared each other to jump in and lay on the warm rocks to dry themselves off. It was a perfect first day, immersed in the typical life of the people of Sa Pa.
We took a two day motorcycle ride out to Muong Hum to witness the local market that occurs early on Saturday morning. The trip out to the village was along the most dramatic road I've ever ridden. We passed waterfalls and cut along the edge of deep gorges. The scenery was beautiful and I felt lucky to have gone so far beyond the typical tourist trail. Upon arrival in the village we found that tourism hadn't reached this part of Vietnam and there was no hotel, but a girl walking along the road kindly ran to her mother and arranged for us to sleep in their home. That evening as we walked through the village there was a throng around a particular table on the side of the road. A pig had been killed and people were descending upon the butcher to buy a piece. The animal was carved up in front of us in seconds and it was good to see that none was left to waste. The next morning we awoke and went to see the market. Snakes were being sold as well as local foods and fabrics. The market served four of the local tribes and was filled to the brim with colours. We saw Flower Dzao and Blue Hmong among others and even our Black Hmong guide had her photo taken with some of the women! Our trip to Sapa was one of the finest experiences of our 12 months living in Vietnam. It’ll be a trip that will stay with us forever. We arrived to Sapa a little sceptical and worried about just being one more of the many tourists that frequent the beautiful region. Looking back now we feel like we were the luckiest tourists in the world, and all because we had the good luck to have met Phil and Hoa on the train from Hanoi. Their extensive knowledge of the area and its cultural heritage made for an amazing, even life-changing experience. Before the trip we were also worried about the effect of tourism on the local culture. We wanted to get tour guides that really cared about the local environment. Phil & Hoa have made many friends in their years in Sapa and they really care about progressive tourism, a type of tourism that really gives back to the locals. Most incredibly they showed us the real life of the local tribes (something very few tourists get a chance to see, actually something that is discouraged by most tour agencies); we had lunch in a local Black H’Mong houses, we went swimming in the river with the local kids on their way back from school and made friends with some really amazing local people. We have recommended Phil & Hoa to our friends and they have also had a great experience. We think a fair and progressive form of tourism in developing countries is what’s best. Luckily for us Phil and Hoa are like-minded. So if you want an authentic experience that can really make a difference, both to you and the local people in Sapa, then Phil & Hoa are the people for you. Nuestro viaje a Sapa ha sido una de las mejores experiencias a lo largo de los 12 meses que hemos estado viviendo y trabajando en Vietnam y, sin duda, será un recuerdo inolvidable. Llegamos a Sapa un poco escépticos, temiendo vernos obligados a contratar, al igual que todo el mundo, uno de los tours estándares que organizan las agencias turísticas de Hanoi con oficinas en la zona. Sin embargo, mirando hacia atrás, sentimos que fuimos los turistas más afortunados del mundo gracias al simple hecho de encontrarnos a Phil y Hoa en el tren de Hanoi. Su amabilidad y su amplio conocimiento de la zona y de su patrimonio cultural hicieron de Sapa una experiencia increíble que marcó nuestra vida. A la hora de preparar nuestro viaje a Sapa nos preocupaba encontrar la manera de conseguir que nuestra experiencia contribuyera positivamente en el desarrollo económico de las familias locales y en la protección medioambiental de la región. Al conocer nuestra inquietud, Phil y Hoa nos pusieron en contacto con algunos de los guías nativos que trabajan desde hace años en impulsar un turismo enriquecedor y, a la vez, sostenible. El paisaje en Sapa es extraordinario, pero resulta imposible disfrutarlo al máximo uniéndote a uno de los numerosos rebaños de turistas que siguen las rutas marcadas por las agencias turísticas. Phil y Hoa son dos motoristas expertos (habilidad muy ventajosa en las montañas de Sapa) y nos pudieron llevar por lugares menos frecuentados, ofreciéndonos la oportunidad de gozar de un paisaje maravilloso y descubrir la cotidianidad real de la vida en el campo de las tribus locales. Contar con Phil y Hoa nos regaló vivencias impagables como por ejemplo comer en casa de una familia H’Mong, nadar en el río junto a un grupo de criaturas regresando de la escuela o compartir una copita de licor de arroz después de cenar con algunos habitantes del valle. Desde entonces, hemos recomendado contactar con Phil y Hoa a todos nuestros amigos que han visitado Sapa y todos ellos han tenido también experiencias fantásticas. Nosotros siempre hemos creído que es necesario promover un turismo sostenible y, afortunadamente, existen personas como Phil y Hoa que trabajan para que eso sea posible. Así pues, si quieres vivir una experiencia auténtica y constructiva, tanto para ti como para los habitantes de Sapa, Phil y Hoa son los amigos que necesitas.